Arla Pro has launched a new online benchmarking system for milk so that busy baristas can see at a glance which products are best suited to their outlets. The milk that’s being used is becoming increasingly important as coffee has been steadily improving across the board in recent years and baristas now need to look beyond the coffee bean to help set them apart from the competition. Although convenience remains the key reason to visit a coffee shop, it is great taste that brings people back. With consumers forming strong personal opinions on taste and the proliferation of coffee shops across major cities, it is even more important that venues concentrate on creating coffee that keeps customers coming back. With the top three drinks sold being lattes, cappuccinos and hot chocolate*, milk has a fundamental role to play in delivering the quality taste that consumers want, especially since a ‘well-foamed milk’ is seen by consumers as an indication of a quality coffee that’s worth coming back for**. 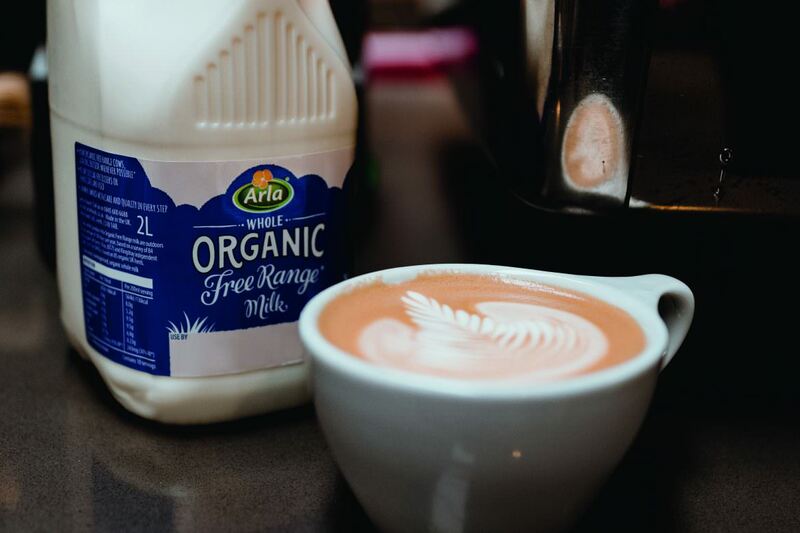 Arla Pro has put its entire milk range, Arla Milk, Cravendale, Organic and Lactofree through robust testing with independent baristas to identify how they perform on a scale of measures to make it easier for baristas to pick exactly the right milk for each occasion. How each product performs across visual appeal of coffee, impact on taste, length of hold and effectiveness of sheen is available on the https://www.arlapro.com/en-gb/ website. One of the key differences that sets Arla apart is that it is farmer-owned, giving complete control across the entire production process, so you can be reassured that Arla’s dairy products come from a reliable and transparent source, something which is increasingly important not only to consumers, but also to coffee shop owners. At each stage of its journey we ensure that Arla’s milk meets the values in its Sustainable Dairy Farming Strategy, covering climate, animals, resources and nature. Baristas should also be aware of the increasing demand for lactose free products, not simply for those who are lactose intolerant, but also as a lifestyle choice**. The challenge is in sourcing products that have a similar taste profile to milk, so that the taste of the coffee remains paramount. That’s where Arla’s range of Lactofree products helps, as they show no visual difference to standard fresh milk, ensuring a high-quality finish. They steam and foam consistently with no splitting, which can occur with non-dairy alternatives. And importantly for consumers, drinks including lattes made with Lactofree taste the same as those made with standard fresh milk***. Arla Pro is the Official Milk Sponsor of UK Coffee Week, highlighting the benefits of using milk that delivers consistency and quality from the UK’s biggest dairy company.